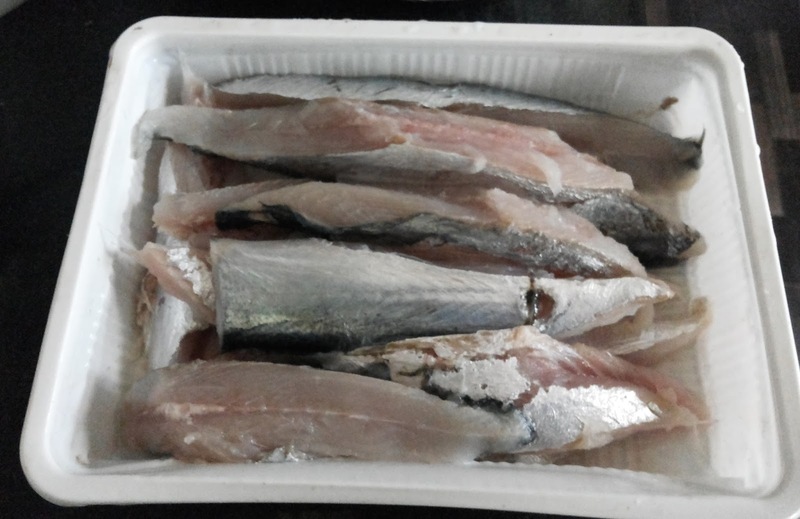 Mulluvaala (karli) is a very fleshy and tasty fish full of bones and only an expert can cut the fish without cutting the bones. It has to be cut diagonally otherwise the bones will be cut into pieces and removing the fish bones while eating will become a tough task. So be careful while cutting the fish. I learnt this recipe from my neighbour Maharastrian Aunty who used to prepare this very good. 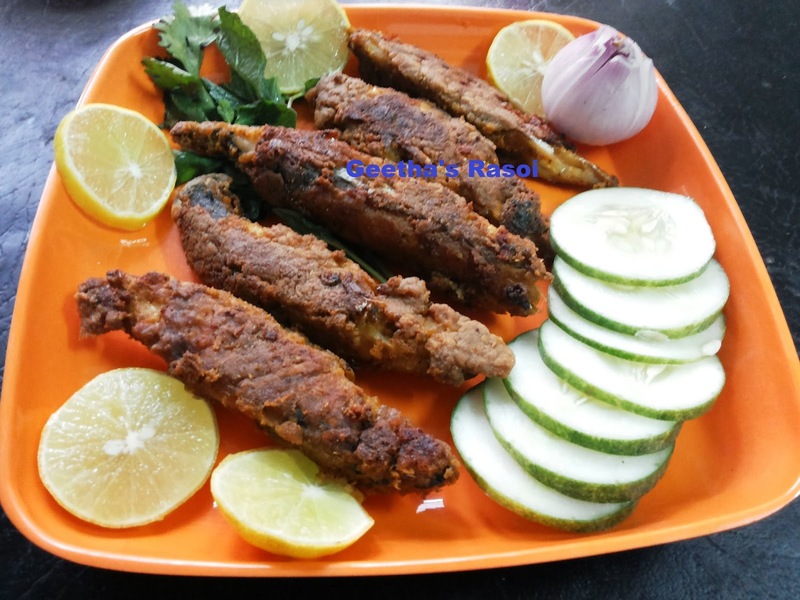 This recipe can be used for other fishes also. Marinate fish with lime juice, turmeric and salt then keep it for 10 to 15 min. Then marinate fish with grounded masala and keep for at least 1hour. 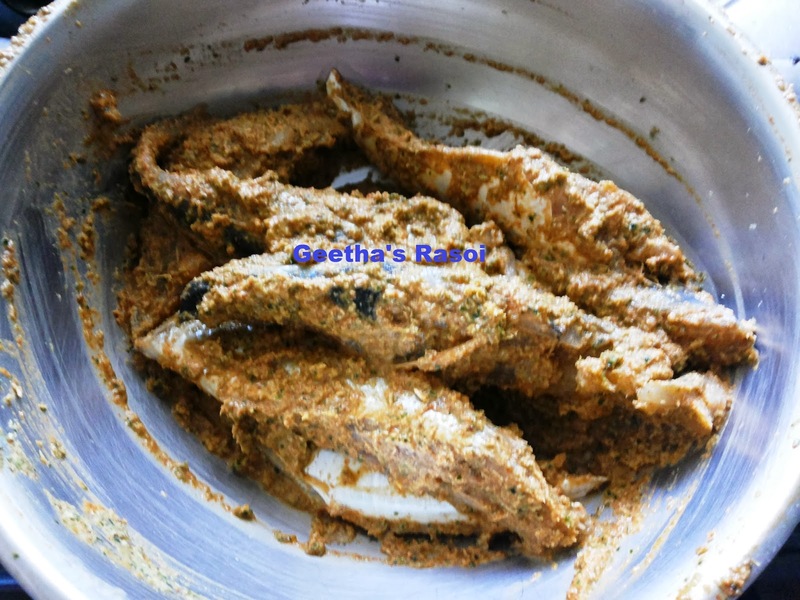 Then coat fish with rava or rice flour. Heat shallow fry pan apply little oil then spread the coated fish on pan and fry till crispy then add few drops of oil and turn the fish again fry till crisp. Serve with rice and fish curry.